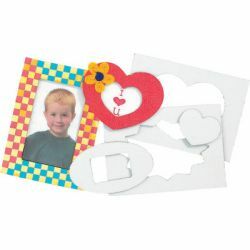 Features 24 big and small frames out of corrugated card. Great for collage projects. Up to 5" x 7". Idea guide included. Pack of 24.